Meet Diane Henkler, A Blogger’s Celebrity! Categories Bushra's LifeStylePosted on September 25, 2018 January 27, 2019 | Author Bushra Syed12 Comments on Meet Diane Henkler, A Blogger’s Celebrity! Hey fellow bloggers! Guess what I am going to share with you all today? 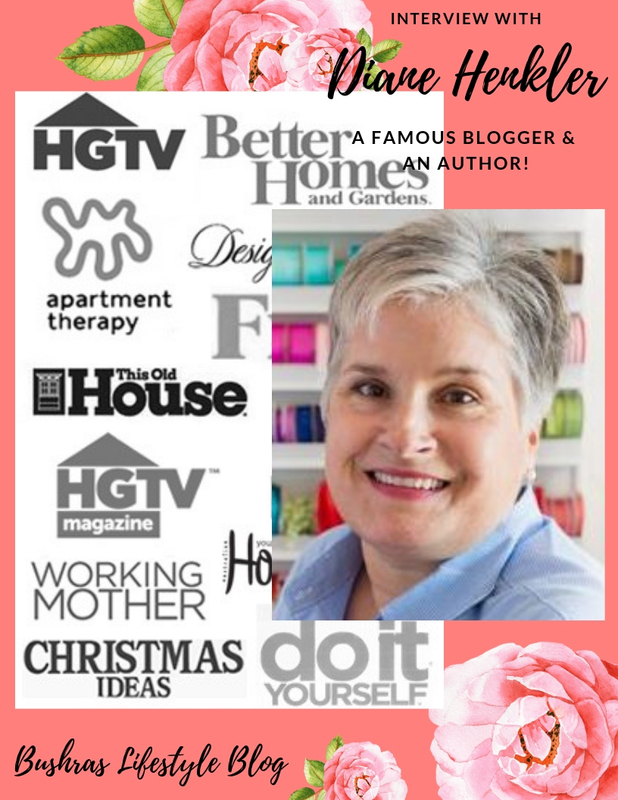 Almost a million dollar tips on a successful blogging business through an interview from a huge and very successful blogger, Diane Henkler, from “In My Own Style”. She is not only a big blogger but also a very down-to-earth woman. I have been reading her blog since July 2010. Before that, I never knew what blogging meant. I used to come home from work and right away was checking her blog if there was anything new there. Although she is super busy with her site, she humbly accepted my request for her interview. Before you start reading, I would like to mention that “In My Own Style” has been featured in many big and famous sites such as HGTV, Better Homes and Gardens, Apartment therapy, This old house, Houzz, Oprah.com, First for women, Design sponge, Do it yourself and Christmas ideas. Here you go, meet Diane Henkler! It’s a long interview, but if you read it you will do yourself a favor as it’s very informative! 1-Tell me, how did you first get into blogging? I had written a decorating book back in 1994 entitled, Instant Decorating. It was published by Meredith Corp (BH&G). It had a great run and I wanted a way to continue to create and inspire others. In 2006 I had tried to start a blog, but the technical aspects of it were too challenging for me at the time. After 3 years I knew I had to focus and try learning how to start a blog. It took me 4 months since I had a full-time job. In late 2009, I posted my first post. 2- Can you tell me some of your strengths that really help you in blogging? My brain is visual and always in creative mode. I am naturally drawn to decor and pretty things. I also love all aspects of living authentically. I named my blog, In My Own Style to inspire others to do things in their own way. 3- When did you decide to get your personal domain and get rid of blogspot? I got my domain name as soon as I was sure of the name. It took me a week to edit down a long list I made of names. Once I chose, In My Own Style I started getting the ball rolling into getting a logo made and begin to set up the website. I wasn’t on blogspot when I started. I started on Typepad. At 4 months into blogging, I went to my first blog conference where I learned that I should be on WordPress. When I got home, I made the change to WordPress. 4-What has been your strategy for creating visibility for yourself and your blog? I didn’t have any strategy really. Back in the early days before Pinterest, we used to link our projects on blogs that had Link Ups or Link Parties. I used to link to everyone. I think doing this is how I became more visible. Also back then, big sites like Apartment Therapy would often feature bloggers projects. I had a few features and had a huge uptick in page views and subscribers from these features. 5- How do you manage time to run your blog efficiently? After blogging for 2 years, I quit my full-time job and began life as a full-time blogger. My time is my own. My kids are grown so I don’t have any obligations except for the blog. I can schedule my days as I want. About 4 years ago, I hired a Virtual Assistant to help me with social media and SEO tasks. This allows me to focus on creating the content. 6- Tell me about your proudest achievement? My book, Instant Decorating is and I think will always be my proudest achievement. That and my 2 daughters. 🙂 I knew I had an idea for a book and read everything I could about how to write and get a book published. This was back when there was no such thing as the internet. I wrote a book proposal and sent it out to lots of agents. I got lots of rejection letters. One agent called me one evening though. She told me she could not take me on, but she thought I had a great idea. She gave me ideas on how to make my proposal better. I did what she said and sent it to Meredith BH&G. They liked it and offered me a book contract. I also did all the promotion and publicity for the book and got on TV shows and in many newspapers. My editor asked me to write how I did it all so they could give it to their other writers so they would promote their books the way I did mine. 7- What was the most challenging moment in your blogging journey so far? Learning the tech side of blogging that readers never see. This and the fact that the technical side is ALWAYS changing. Google and social media algorithms keep changing. As soon as you learn the new way, it changes to something again. 8- Can you tell me something about your first Haven blogging conference, and how did you end up going there. Were you invited to attend that conference? I went to the first Haven knowing that I needed to learn certain things. I loved the conference and got to meet other bloggers in person. I came home very inspired. I spoke at the second Haven and was a Haven Mentor for two years. As a blogger the best way to learn new things is from other bloggers who have mastered a certain skill, be it woodworking, photography, SEO and so much more. Haven is a place to learn it all while getting to hang out with other bloggers that do the same things every day that I do. 9- What was your first paid assignment as a blogger, and was earning money through your blog a priority? 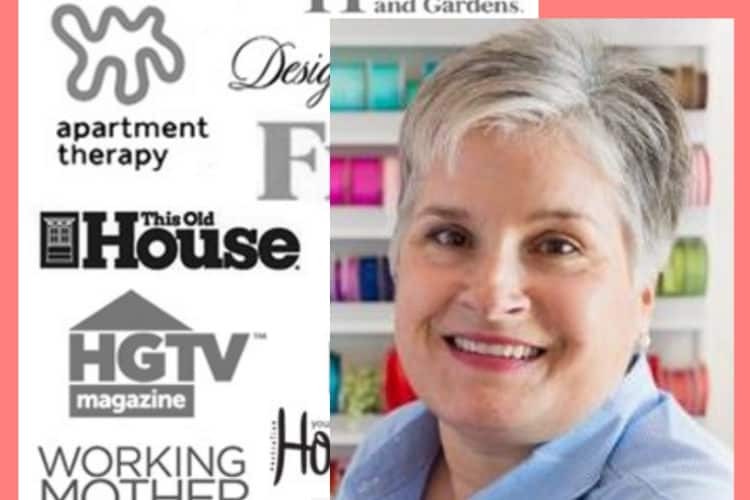 My first paid assignment as a blogger was with Home Depot and Martha Stewart. My biggest sponsorship though was when I was asked to write for the Glidden website called My Colortopia. It was a site where they had 7 decorating bloggers write posts and answer readers decorating questions. It paid very well and I wrote for them for 7 years until they took the site down to merge it with their main Glidden paint site. Getting paid is a priority. I love to share ideas, but it takes a lot of time and effort to get a blog post up. Buying the supplies, making the project, taking the photos, editing the photos and then writing the posts and tutorial and then having to share it all on social media is work. I need to make money to support myself and I can when I take on sponsored posts, have ads on my site and affiliate link to products that I use and recommend. 10- How do you keep coming up with material/content for your blog? Many people struggle with coming up with different ideas every day. My brain is on creative overdrive, it is just the way, it is wired. I joke that I can’t add 2 + 2, but it is true. My gift is creativity and I am never without an idea. My problem is there is not enough time to get them all into blog posts. 11- Do you think Pagerank plays a vital role in a blog’s life? I have never paid attention to any number like Pagerank. I just try to put out my best and hope it inspires others. 12- What would you prioritize? Content, SEO, Trafic, or Readers? Readers are always first, without them there would be no reason to blog. To get more readers though, SEO is what I focus on. 13- On a more personal note, what are the next goals you have set for your site? I plan to continue blogging for as long as I have readers who are interested. It is getting harder since every topic under the sun has been done a million time and is easy to find on Pinterest. I think there is going to be a shift back to the early days of blogging when it was more personal, not all tutorials. Blogs have become websites, I think readers like to read the more personal side so they feel a connection. 14- What would be a few things you would stressfully suggest to a new blogger as I noticed some people really lack quality and they are just after money? For anyone just starting out on the blogging journey, I would tell them to be themselves and not try to copy another blogger’s style. There are literally thousands of decorating bloggers. A newbie will stand out more if they do something different from others. If they just try to copy what others are doing then they are just another similar fish in the sea. When I first starting blogging, I had to learn all about photography. Every blogger did and we all became darn good photographers with high-quality images. Good photos are very important especially for anyone starting a food or decorating blog, so someone just starting out should take an online photography course. It is worth the investment in time and money spent. Thank you so much for your valuable time, Diane! Check out her site and leave me a comment below about what part of the interview you like the most?